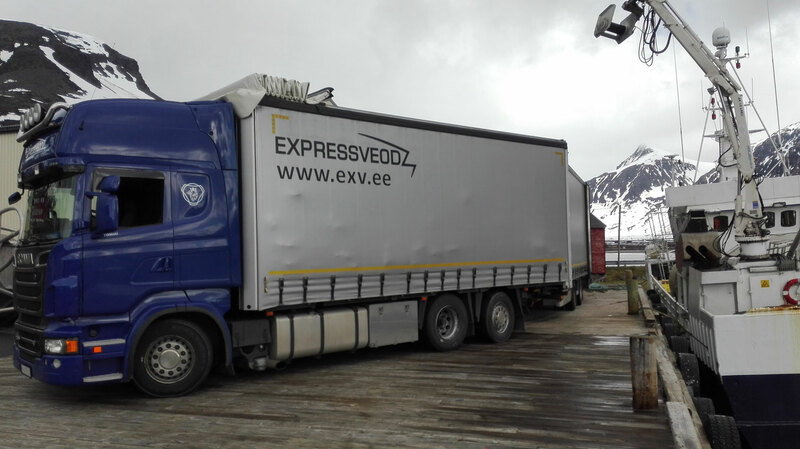 Expressveod OÜ is a company dealing with international road deliveries and forwarding. 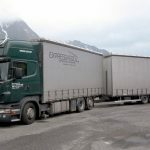 Employees of the company have long-term working experience in the Scandinavian area, therefore we can provide door-to-door service in the whole Scandinavia in hot summer as well as cold winter. Our main areas of work are Norway-Sweden-Finland and the Baltic countries. 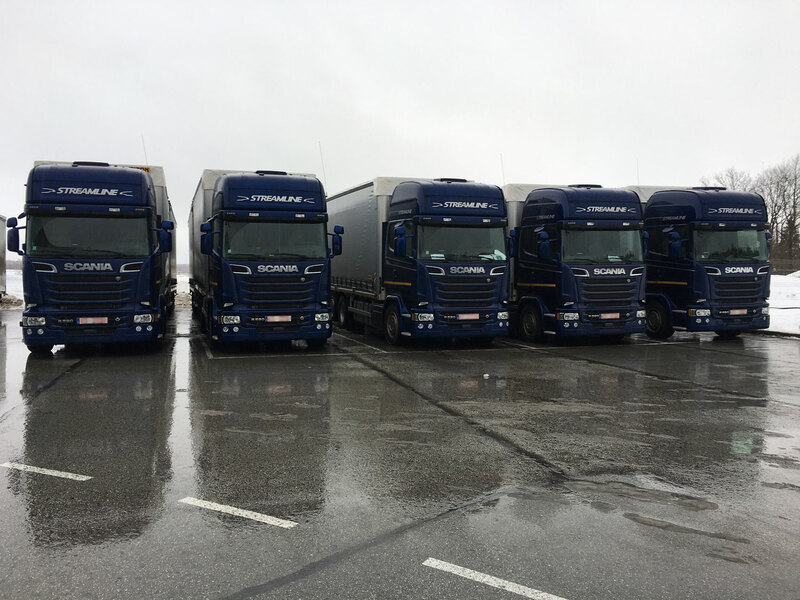 We are covering all Scandinavia and making transportation between: Norway-Finland-Norway; Norway-Sweden-Norway; Sweden-Finland-Sweden. Daily dispatches of full loads. 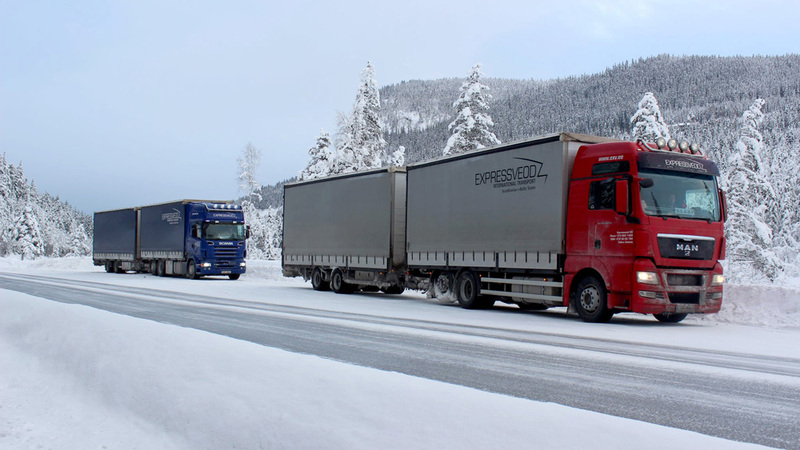 Partial loads to anywhere in Scandinavia every Friday. 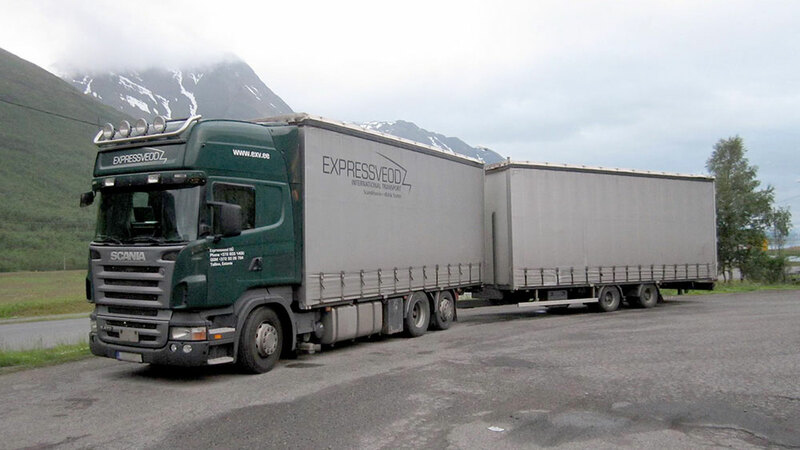 For cargo deliveries we use volume trucks accommodating 115 m³, e.g. 38 EuroPallets. Internal height up to 3 m, loading metres 15,5 and carrying capacity up to 24 tons. 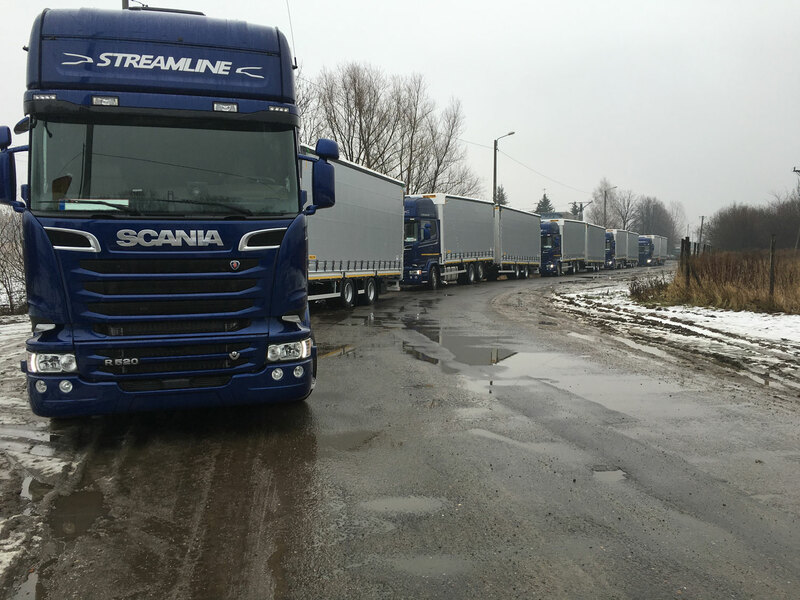 For the provision of services the company has 30 drivers. 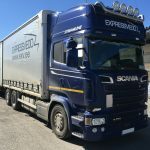 For cargo deliveries we use volume trucks accommodating 115 m³, 38 EuroPallets, internal height up to 3 m, loading metres 15,5 and carrying capacity up to 24 tons. 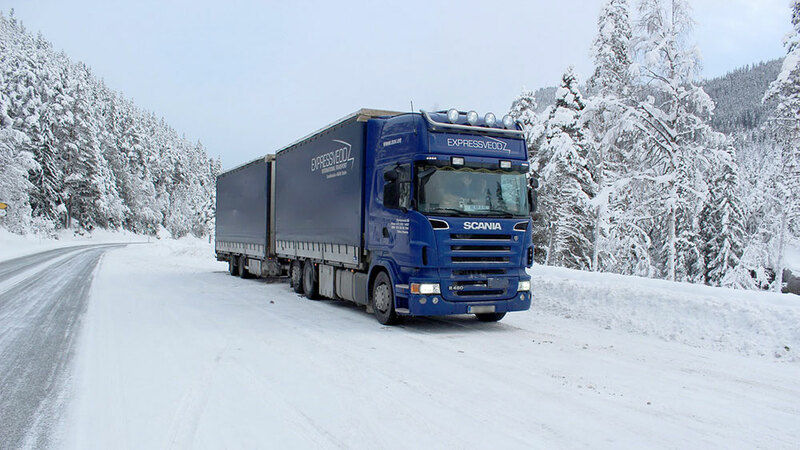 Our main areas of work are Norway-Sweden-Finland and the Baltic countries. 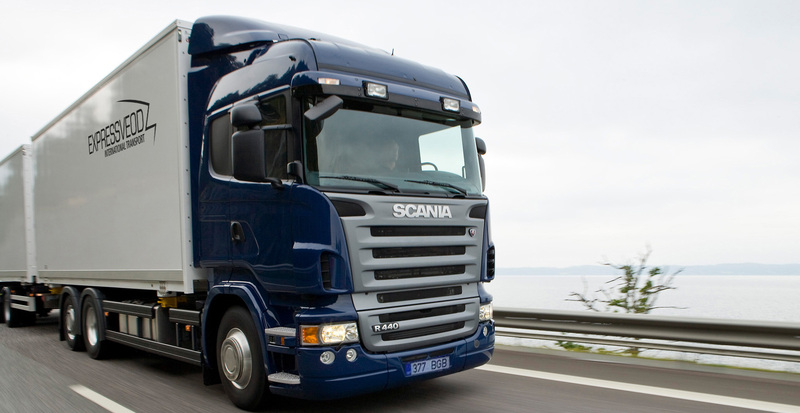 All our drivers have passed the training for international carriage of dangerous goods by road (ADR). We also provide the services of warehouse and customs clearance. 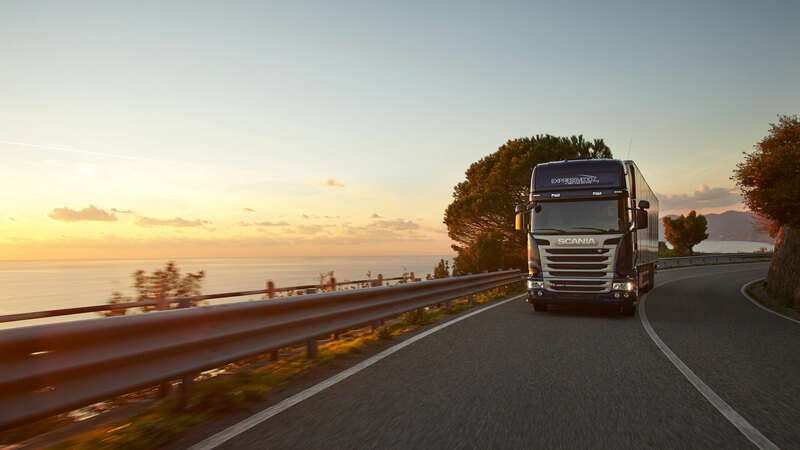 Our transported goods are covered with CMR-insurance. 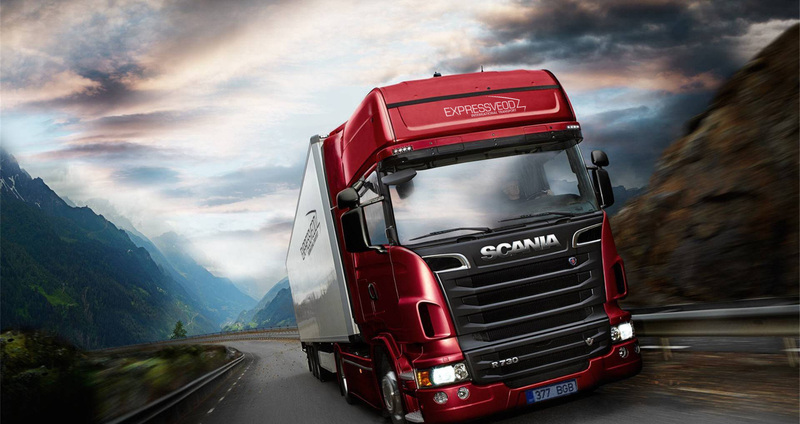 Also additional insurance of the goods in cooperation with different insurance companies is possible. 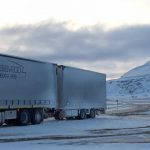 Employees of the company have long-term working experience in the Scandinavian area, therefore we can provide door-to-door service in the whole Scandinavia in hot summer as well as cold winter. Daily dispatches of full loads. 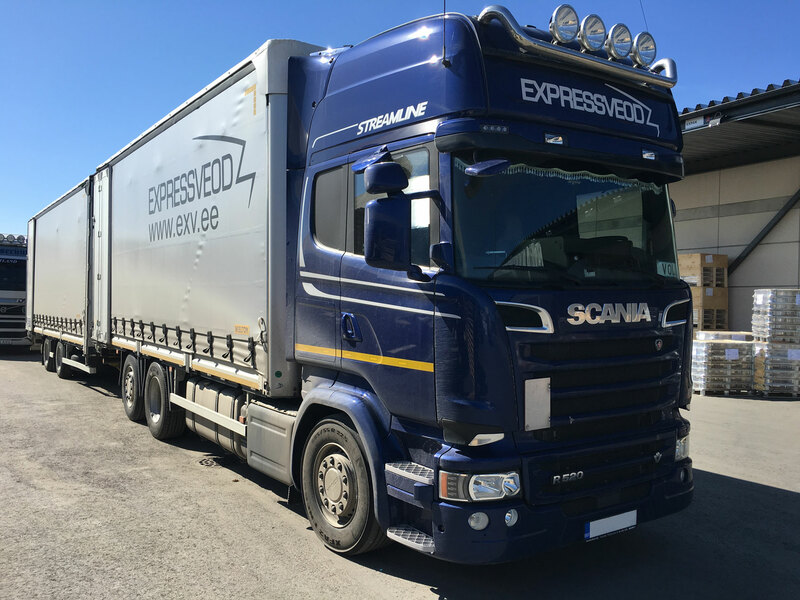 Partial loads to anywhere in Scandinavia every Friday. 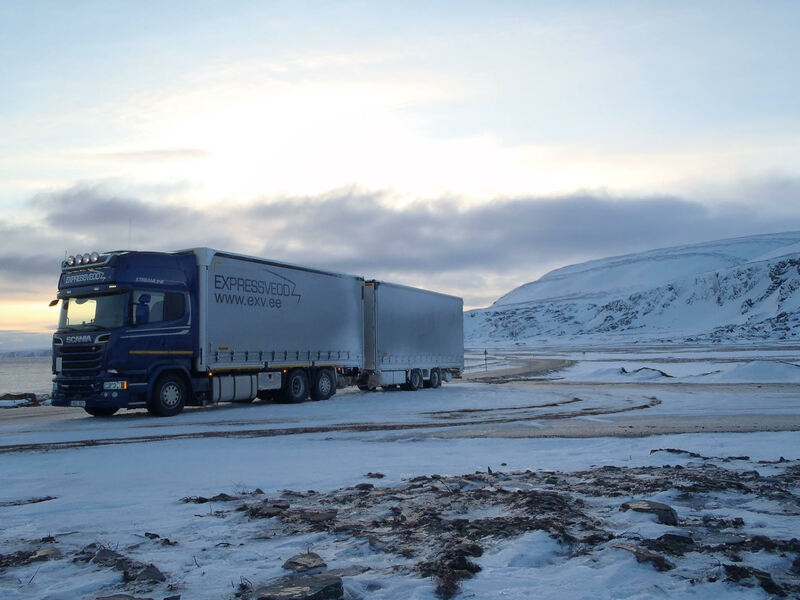 We have partners in every Scandinavian country, with whose assistance we can provide to the clients also highly flexible door-to-door service for small consignments. 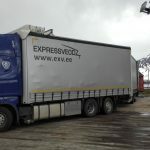 Expressveod OÜ is a road transport company basing on Estonian capital, founded in 2000. 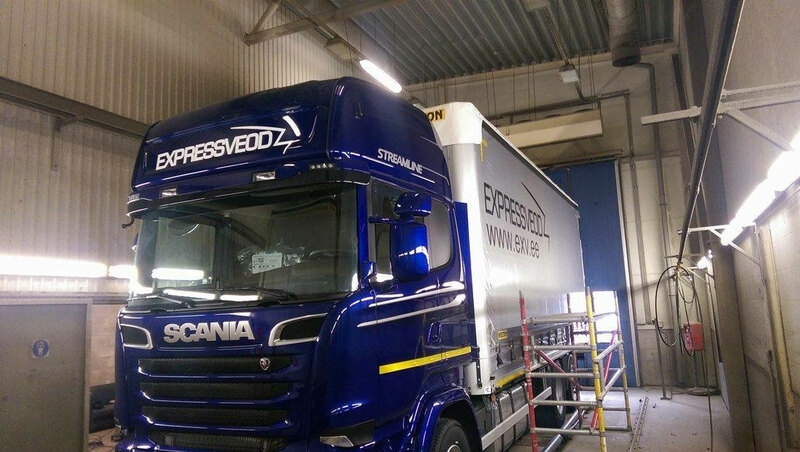 For cargo deliveries we use volume trucks accommodating 115 m³, e.g. 38 EuroPallets. 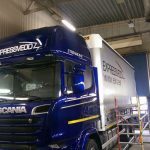 Internal height up to 3 m, loading metres 15,5 and carrying capacity up to 24 tons. 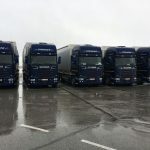 For the provision of services the company has 35 drivers. 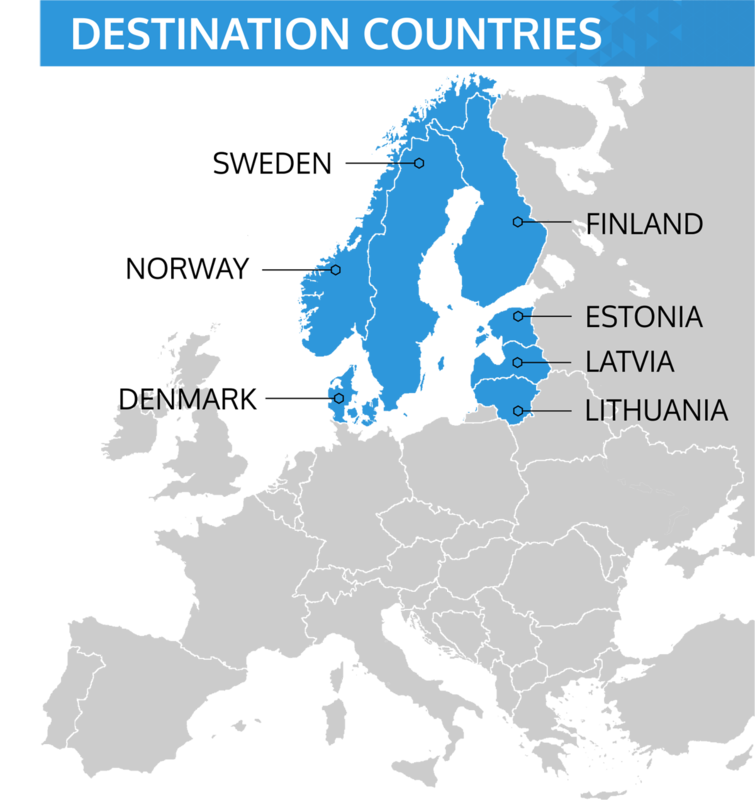 Our main areas of work are Norway-Sweden-Finland and the Baltic countries. All our drivers have passed the training for international carriage of dangerous goods by road (ADR).